CATTLE PRICES SLIDING | Chatham-Kent Agriculture Development | We Grow For the World! September was a bumpy month for North American cattle markets. After riding a lengthy wave that peaked in August, feeder cattle prices dropped back to levels just above one year ago. The Western Canadian average price for 500 to 600 pound steers at the beginning of September was $322.34 per hundredweight. The same animal during the first week of October fetched an average cash bid of $289.20 per hundredweight. The 10-per-cent decline was caused by volatility in the U.S. cattle futures market. The declining value of the Canadian dollar cushioned some of the impact until late summer, but more fat cattle entered the market during a time of reduced consumer demand. Ron Plain of the University of Missouri reports the average U.S. steer dressed weight was 923 pounds, up 36 pounds from the same week last year. 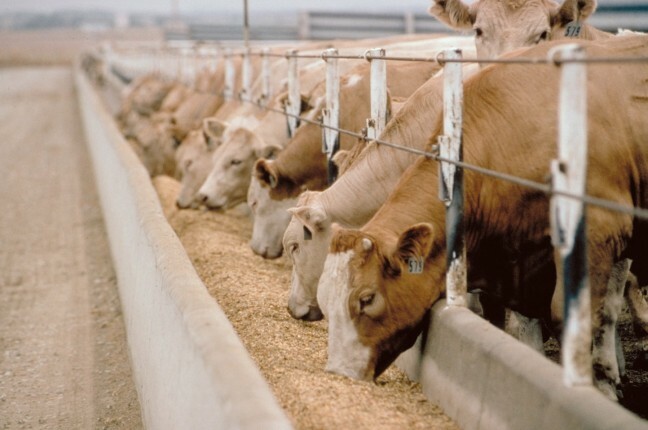 Feedlots are feeling the squeeze even with the lower feeder cattle prices. The amount of red ink varies, depending on the use of hedging and risk management tools. The beef sector is looking for some positive news to signal the end of the current slide. Consumer beef purchases typically pick up in October and into the fourth quarter. Lower cutout prices should also encourage more retail stores to feature beef in their sales flyers as the Christmas holiday season approaches. She emphasizes the September declines need to be put into perspective because they come following a long, extended period of week-over-week increases and historically high record prices that shattered most expectations.